Mallory Williams is the designer and craftswoman behind the Millie Mae Collection; her chic style incorporates fun pops of color and bold pieces. Mallory Williams is the designer and craftswoman behind the Millie Mae Collection. Her chic style incorporates fun pops of color and bold pieces. With two boys, Michael West, 4, and Beckham, 2, she’s always on the move, so she dresses up basics to make a statement. Here’s what she has to say about style, accessories and her closet staples. What prompted you to start Millie Mae? I have always loved creating jewelry and really kind of stopped once I had kids. Just in the last year I restarted, honestly out of the desire to make moms feel just as beautiful on the outside as they are on the inside — and a good pair of earrings can totally do that! A lot of bloggers, I think that’s a big place these days to find a lot of inspiration. I also really try to look at New York Fashion Week and see what I can translate into my everyday life, which is kind of hard. But I feel like if I can find one style that I can take to my everyday then that’s great. What’s a good way to step out of your comfort zone in regards to style and make a statement? Choose one thing. 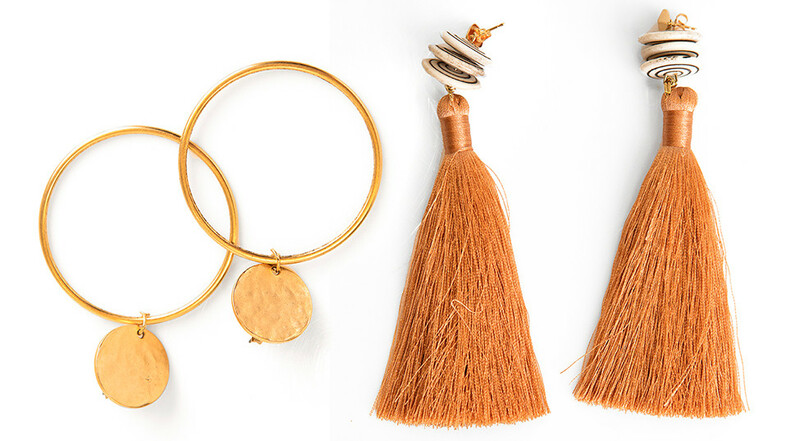 Maybe you choose a really big gold hoop, and that’s kind of a simple place to start and you wear that for awhile, and then move on to a really big tassel or those acrylic earrings that are really in right now. Move on to something with more color. Start simple and then slowly build your way up to something different. When do you think a piece is worth investing in? I say invest in some good T-shirts from Madewell or wherever that are going to last a while rather than pulling out your old college T-shirts. I don’t invest in trendy pieces because they’ll go out of style. Maybe a nice leather jacket, which can cost you a little bit more, but it will last you forever. I’ve had my leather jacket for probably 10 years and I love it. A T-shirt and jeans and maybe a cardigan or a funky leather jacket and a cool pair of shoes, and then I try and top it off with accessories. A cool pair of sneakers and a big pair of earrings pull any outfit together. 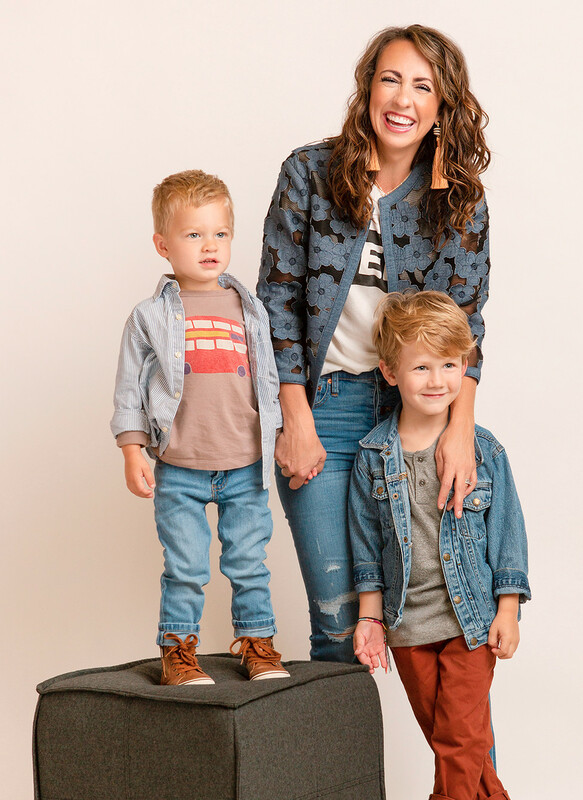 Mallory Williams and sons Beckham, 2, and Michael West, 4. What advice would you give to the mom who says she doesn’t have time to get ready in the mornings? I totally get that. I think the key is making your makeup routine like a five-minute routine — a little bit of foundation and concealer goes a long way and add mascara and lipstick and you’re set. If you have those things you automatically feel pulled together. I love Milk and Honey Tees — she’s a local designer and she’s got some great T-shirts. I love Zara and Madewell and I love to roam around Anthropologie, I could be in there forever. 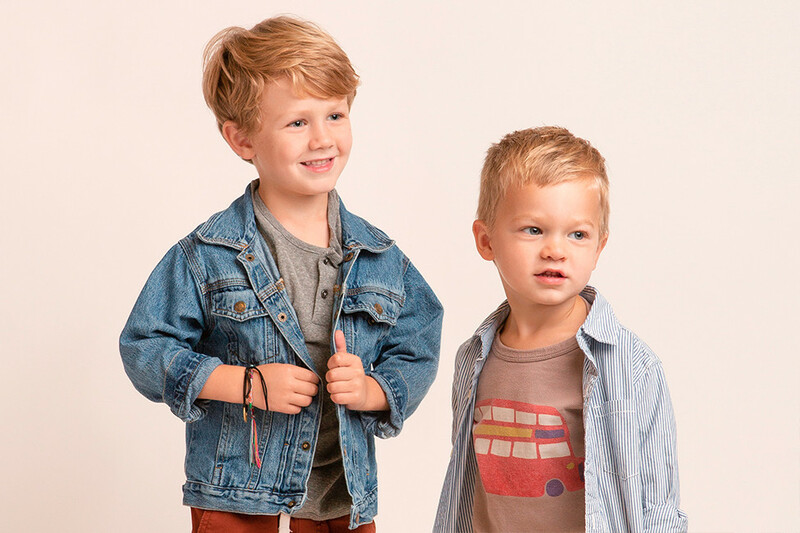 Where are your favorite places to shop for your boys? My very favorite is Mini Boden, which is an online store. It’s a little pricey so I also like to shop secondhand at Caroline’s Consignment. I find myself in Target all the time because for two little rowdy boys, they get their clothes ruined and dirty in the first five minutes. 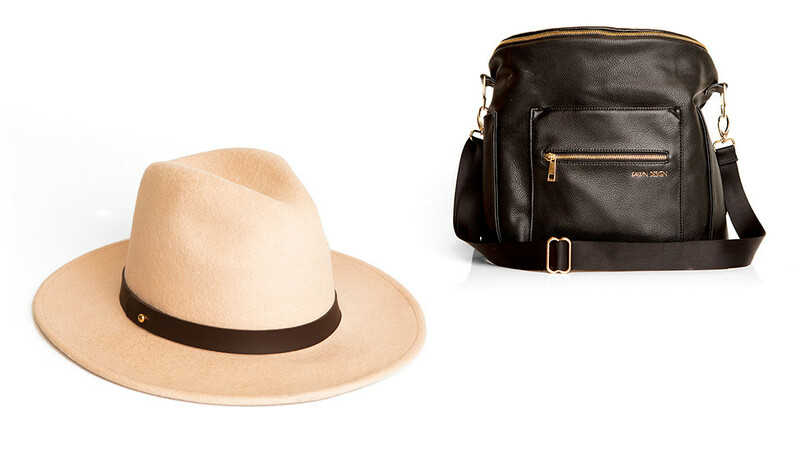 Multi-purpose diaper bag and purse by Fawn Design; hat from Tulips.